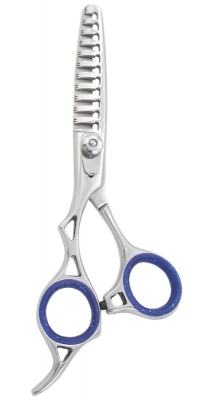 Professional Thinning Scissor One Razor Blade & One Teeth Blade, left handed, adjustable screw with clipper plate, fixed hook. Finish Available: satin, mirror, Gold plated, Glass bead, and any color. Size Available: 5.5", 6.5" & 7.5"